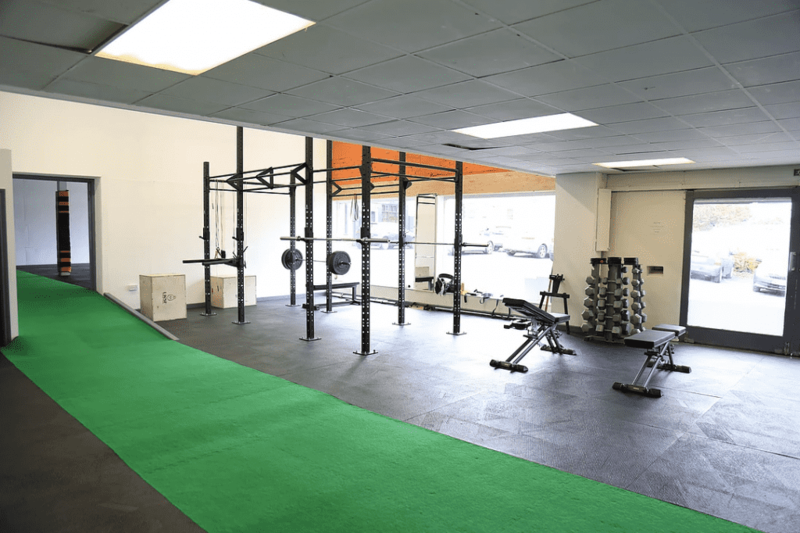 Check out this unique centre of excellence for fitness and community in Hexham, England. With its great facilities, welcoming staff and consistently high coaching standards, this is one place you should check out! All words are by Eddy Thompson, founder and owner. I started out as a sports therapist and personal trainer working in parks and home visits 6 years ago. Didn’t really enjoy the gym atmosphere and machine based gyms in the area (even though I worked part time in one), so chose to buy equipment when I could afford it working mainly with kettlebells, battle ropes, slam balls and bodyweight functional exercises. This progressed into bootcamps and group training. In the next stage I spent around 3-4 years building a reputation and half decent business. 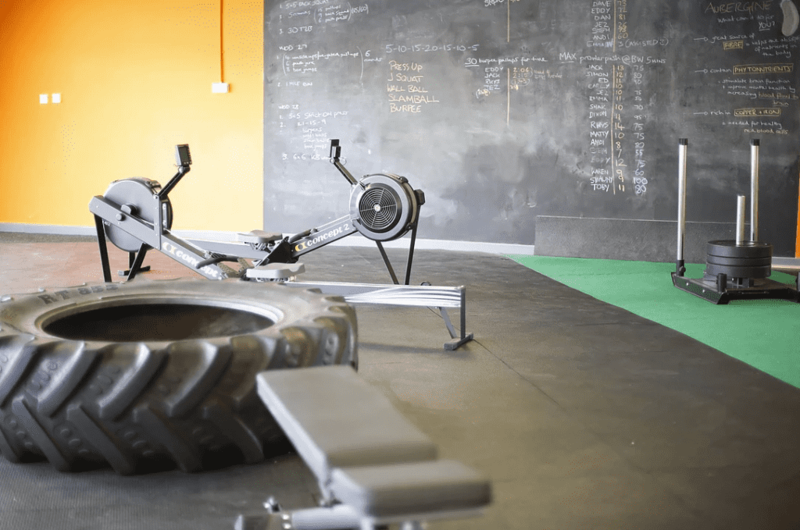 In the winter I would travel to Newcastle to train when the weather was really bad and found an indoor version of the type of training I was promoting in crossfit/ functional gyms. This got me thinking about the benefits of creating my own take on a “gym” in Hexham. Spent a year and a half saving and looking for the perfect place, found an old car garage that my dad’s mate owned and was willing to rent. Spent 3 months completely gutting it, and made the best of the space. Relying on favours from mates and using all my savings to get the a rig in, couple of concept 2’s, few sets of plates and bars and all of my old kit. Word of mouth spread quickly and I hit my end of year membership target within 2 months. People really bought into our style of training and it was producing results quickly (injury free and athletic bodies). 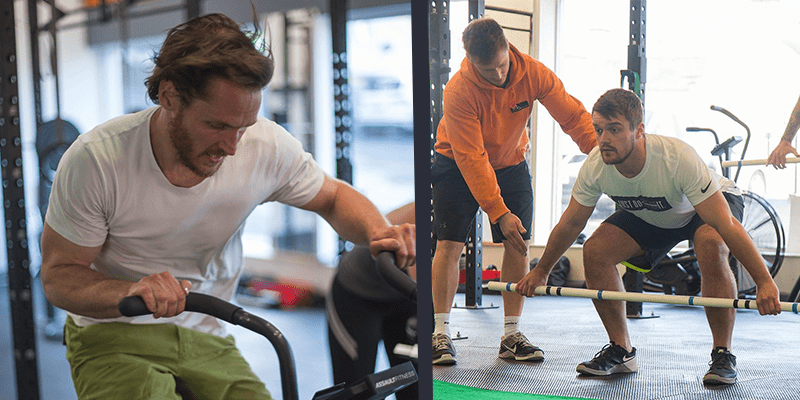 Things never really slowed down but with help from a few mates we managed to reach further into the community and bring strength and conditioning to the local sports teams as well as creating an awesome community. What I’ve tried to create is a place where your body will get whatever it needs, we’ve got functional fitness classes, sports therapy room, in the process of building a juice bar for natural pre/post workout and overall healthy immune/body/mind. Will also get the odd person calling in for a coffee and a bit of crack so seems to have that chilled out energy vibe. 6 months ago I passed my level 1 bwl coaching qual and since then have completed my level 2. With this, we are running Olympic lifting courses and hopefully a club when the interest is there. I am a firm believer in form before intensity so we are running courses aimed at different abilities to bring them into the classes and gym. Also a firm believer in train for purpose rather than look, therefore massively promote performance style programmes/classes. Also will be running surf fitness weeks across Europe which will include pro surf coaching, surf specific training, sports therapy, correct nutrition and hitting up some of the best waves in Portugal, Spain and Morocco. The gym has the potential to become bigger with a refurb and I’m currently looking at creating more room for lifting platforms and lifting the ceiling to extend the rig.